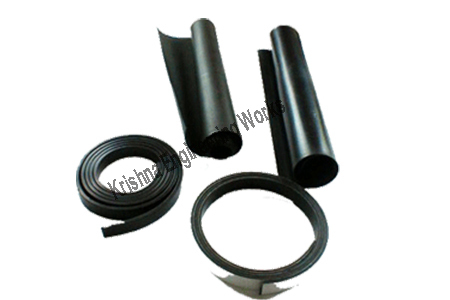 Rubber Slitter Rewinder Machine manufacturer, Different types of Rubber Sheets are used for applications for making Rubber Rolls, Tyres, Fabric, etc. Depending on the thickness of the rubber, our Rubber Slitter Rewinder Machine comes into use for slitting of rubber sheets in roll form. For making different types of small rolls, Rubber is slitted into different size of small Rolls in our Rubber Slitter Rewinder Machine. Then these Rubber Sheet Rolls goes into other machines for different applications. 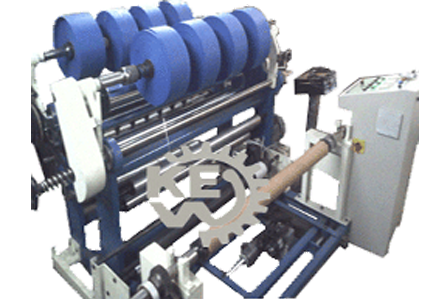 Our Rubber Roll Slitting Rewinding Machine is able to process all types of Non-Woven Fabric of any thickness. We have been manufacturing different types of bow roll and rubber rollers with international standards. We have been successfully Manufacturing, Exporting & Supplying all types of rubber slitter rewinder machine since last 25 years from Ahmedabad, Gujarat, India. With more than 1400 installations all over India and overseas like Saudi Arabia, UAE, Dubai, Sharjah, South Africa, Nigeria, Ghana, Congo, Kenya, Zambia, Sri Lanka, Bangladesh, Malaysia, Pakistan, Nepal, Russia, Thailand, Indonesia, Brazil, Colombia, Venezuela, Argentina, Mexico, Canada, etc. We are winner of 3 times National Award and 2 times International Award for Quality manufacturing..
Our machine is an ultimate rubber slitter rewinder machine for its accurate slitting and rewinding qualities. It ensures perfect slitting of rolls with consistent, flawless results and constant line speed. It is available in adaptable model to suit your requirement. Our rubber slitter rewinder machine is available in Rewinder, Duplex surface slitter and Rewinder and Cantilever differential slitter and Rewinder. Our Slitting Rewinding Machine is renowned for its accurate slitting at a higher speed and vibration less working. KEW rubber slitter rewinder machine ensures perfect slitting of rolls with consistent flawless quality and constant line speed. It is available in adaptable model to suit your requirement.